Home / -News- / Steven Tyler / May 10 Will Be Steven Tyler Day in Nashville For the Premier of the Documentary "Steven Tyler: Out on a Limb"
May 10 Will Be Steven Tyler Day in Nashville For the Premier of the Documentary "Steven Tyler: Out on a Limb"
Grammy Award-winning singer-songwriter, philanthropist, Rock and Roll Hall of Fame Inductee, and iconic music legend Steven Tyler will be taking over Nashville starting Thursday, May 10, as Nashville Mayor David Briley proclaims the day "Steven Tyler Day" in Music City. The honor will be bestowed upon Tyler prior to the World Premiere of the new documentary film Steven Tyler: Out on a Limb, which opens the 49th Annual Nashville Film Festival that night. In addition, Tyler will perform with Nashville-based The Loving Mary Band at The Woods at Fontanel on Saturday, May 12. This 4,500-seat natural outdoor amphitheater is rooted in music history as it is situated on the old estate of country music legend Barbara Mandrell. Tickets for this public show will go on sale through Ticketmaster on March 16. "Nashville is a key part of my musical journey and has had an influential place in my career, so this recognition from the city is a tremendous honor," says Tyler. "I'm also so touched that the Nashville Film Festival selected Steven Tyler: Out on a Limb to kick off opening night of this year's event with our world premiere." Ted Crockett, CEO of the Nashville Film Festival added, "It is an honor to have music icon Steven Tyler kick off an exciting 10 days of film premieres, VIP events and industry panels at the 49th annual Nashville Film Festival and indicative of the quality of talent participating in this year's festival." 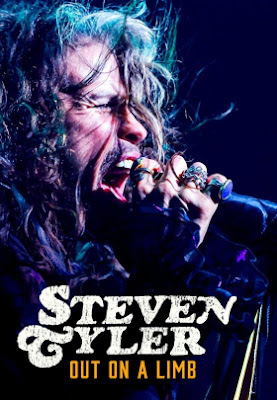 Steven Tyler: Out on a Limb is an intimate portrait of rock icon Steven Tyler as he embraces the challenges of shifting gears, both as a solo performer and in a new genre of music. Uncovering a side of Tyler many fans have never seen before, this inspiring story looks at the passion, drive and search for creative fulfillment that keeps artists pushing boundaries throughout their careers. Casey Tebo directed the documentary and also served as producer alongside Steven Tyler, Rebecca Warfield, and Todd Thompson of Vermillion Entertainment, a Cross Creek Media company. Momentum Pictures will release the film on VOD and digital HD on May 15, 2018. "Premiering Steven Tyler: Out on a Limb at the Nashville Film Festival couldn't be any more perfect for us," said the film's director Casey Tebo. "Nashville is like a second home to me and it welcomes everyone with open arms. We're thrilled that the festival, city of Nashville and our distribution partners Momentum Pictures are sharing the film with Music City first."